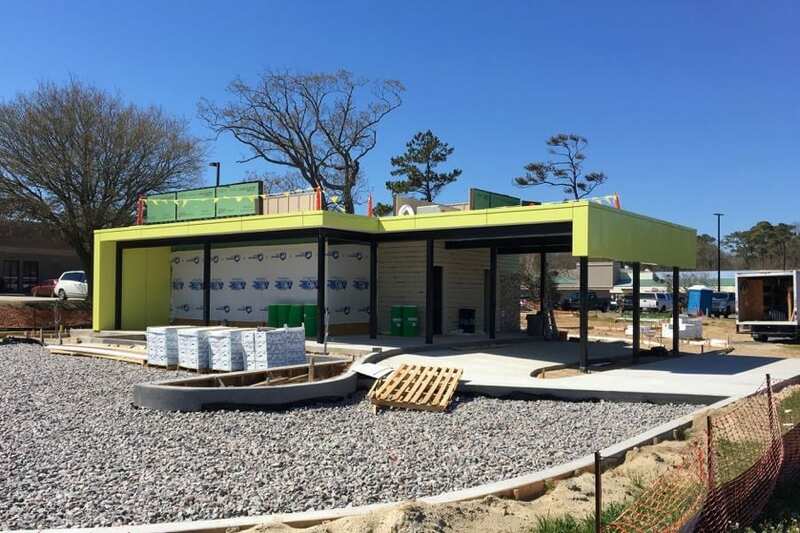 Sandwiched between two banks on the Southern Shores side of U.S. 158, the tiny building under construction has one thing in common with its neighbors: It will feature drive-in service. It will also offer 12 seats, but besides its popular product, the drive-in is meant to be the main draw. Nu-Quality Ice Cream won approval last June to bring the shop to Southern Shores with a look reminiscent of the town’s historic flat-top cottages. The original shop has been in Elizabeth City since 1960 and has become wildly popular across the region. Owner Spiros Giannakopoulos told the Town Council that he and his wife live in Southern Shores and wanted to provide an ice cream shop for residents to enjoy year-round. At 2,125 square feet, the property is in front of the Marketplace shopping center. The 910-square-foot building will also be able to serve walk-up customers who can sit outside in 12 seats. Giannakopoulos had to first win approval for a zoning text amendment that would allow small drive-ins within the commercial district along U.S. 158, a stretch with five banks within a block or so of each other. 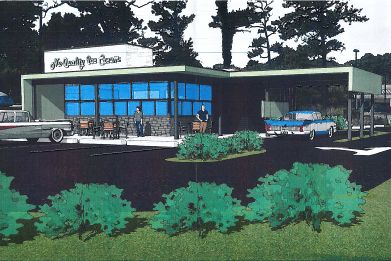 The board subsequently OK’d a conditional use permit unanimously, although Councilman Fred Newberry expressed some concerns about the possibility of too many small drive-ins popping up in town. The Voice’s “What is it?” will try to answer your questions about changes to the Outer Banks landscape: new buildings, demolition, land clearing or anything else you might be curious about. If you have a suggestion, send us an email at info@outerbanksvoice.com and we’ll get to the bottom of it. I know a couple years ago there were rumors of a bigger Starbucks. Also talk of demolishing the area at the Marketplace where Starbucks, Verizon and Jersey Mikes are now. I agree, it’s a great idea. I hope they have a bike rack. Councilman Newberry expressed some concern about too many small drive inns popping up around town but it’s ok too have too many “mini hotels” pop up? I’d rather be able to get an ice cream or get a burger at a drive inn than shake my head driving past an endless sea of houses.